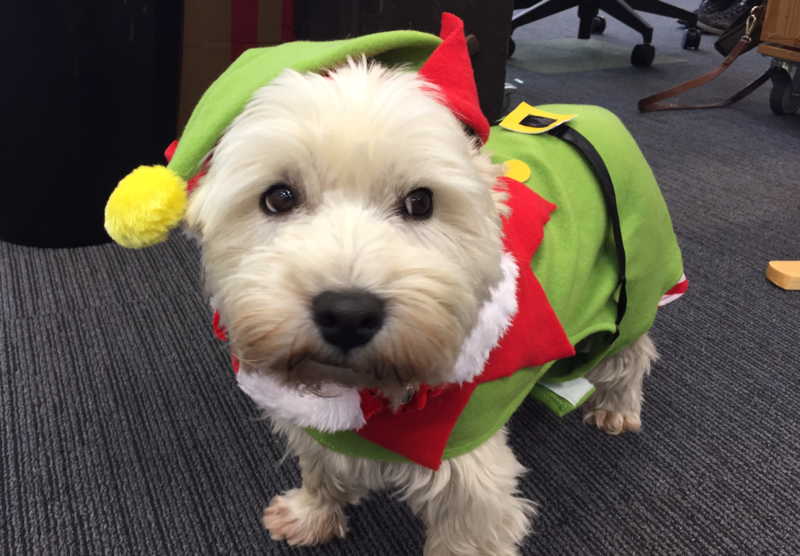 The year is winding down insanely fast – shops have all changed their soundtracks to the aural-assault that is Snoopy’s Christmas and the office dog is dressed like an Elf. If you’re anything like us though, your winding down is partnered with a healthy dose of prepping for the new year. If you’re planning to hire in the first quarter of 2016, it’s worth running through a quick pre-hiring checklist while you’re still this side of Christmas, just to make sure you’ll be ready to dive straight in when you get back to the office come January. There’s nothing worse that getting stuck into hiring, just as the year is starting to ramp up and realising you don’t have your ducks in a row. So we’ve thrown together a quick check list you can use to flag any things you might want to get sorted this year, so you can get down to the important business of lying on the beach (or snuggling up near the fire for our Northern Hemisphere pals) over the break. Have a read, jot some notes or print it out and stick it on your fridge if that helps. And I recommend giving this post a read – it’s about how to build a pool of talent now and halve your hiring time in the new year. Who do you actually need? This should cover what exact skills they need (for the role and to complement your current team), who they’ll be working with, and who they’ll be reporting to. What constitutes a good “culture fit” with your team or business? Where will they sit and who will on-board them – it sounds simple, but you’d be surprised at how often these two important things get overlooked! What kind of relationship do you want? Full-time? Part-time? Contact? Whether you need someone full or part-time or contract – plot out some scenarios. If you get a full timer, how will it work, what will it cost and what will you achieve? Now do this for part-time and contract scenarios. Exactly what will this person be doing? Jot down a list of day-to-day tasks and projects they will be responsible for. This will help form the basis of your job description. ⊗ Your team – Do they know you’re hiring? Do they know who and why? Get everyone excited about it and make sure they’ve got their eyes peeled for people in their own networks who might be a good fit. ⊗ An email/message for your team to forward on to any friends that might fit – Now you’ve got them excited, make it really easy for them to share the word. And don’t forget to include a link to the job/quiz. ⊗ The application process – Are you using a Weirdly quiz? You totally should. But either way, make sure you know how this process is going to run and you’ve scheduled key dates with your team. ⊗ Job board ads – If you’re advertising on TradeMe, you can create and post ads directly from your Weirdly dashboard. For other job boards, it’s a good idea to pre-write these. Also, if you hate writing ads, don’t be a martyr. Ask around your team, there might be some creative whizz-kid who LOVES it and can take the job off your hands. ⊗ A job description – This is a pretty basic one but you’d be surprised how many people don’t get this worked out in heaps of detail before they start looking for people. ⊗ The remuneration package – Having a fairly clear idea of what you want to (and can!) offer before those conversations crop up is obviously a good idea. Sometimes this means having a couple of different structures up your sleeve so you can be flexible around the applicant’s ideal scenario. ⊗ An employment agreement – This is the really important legal part of your hiring process so it’s a good idea to have it pretty much ready to go before you start. That way if there are little tweaks you need to make you won’t have a hold up at the lawyer’s office. ⊗ Social media posts linking to the job/weirdly quiz – pre-writing these is a good idea. You can also load a number of posts (incl links) up onto a tool like Buffer and schedule them to post at strategic times over the course of a week or two. ⊗ Interview process and questions – Who’s going to be involved in interviews from your end? What questions are you going to ask? This’ll help you prep your team for the process and may help with how you’re wording your ads. If you’re looking to hire next year, consider building a talent pool with Weirdly – it takes 30secs to set up and you can start capturing people’s details straight away. Best of all, it’s totally free to trial!